A.B.E. Towing & Recovery has been providing comprehensive towing and recovery services in and around the Lehigh Valley area for over 6 years. 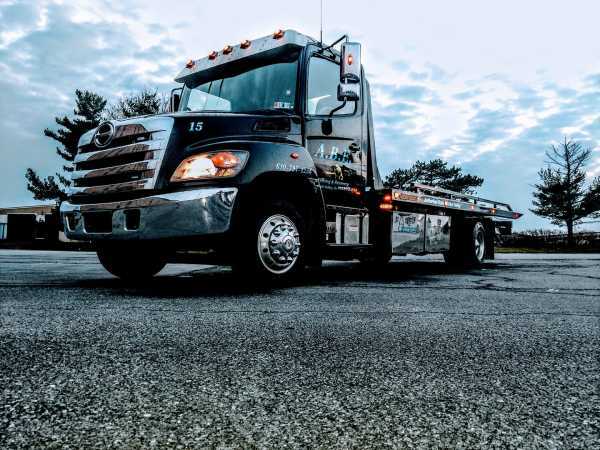 Our complete fleet of towing and recovery vehicles allow us to meet all of your towing or recovery needs. Regardless of the size of your vehicle, or the circumstances of your needs, we can get the job done, and if we can't we will point you in the right direction. Whether you have a need to tow or transport a small vehicle, or a large vehicle, we have the equipment to complete the job efficiently, safely and without damage to your vehicle.We have the experience to recover vehicles stuck in the woods, or on major highways. Our length of time in business has enabled us to establish relationships with most of the insurance agencies. We know them and they know us. This working relationship allows us to concentrate our efforts on your issue, because the insurance agencies know us and our reputation. We are fully insured and licensed to do business.